Essential to developing a global perspective is the opportunity to immerse in the culture, history, and language of other countries. 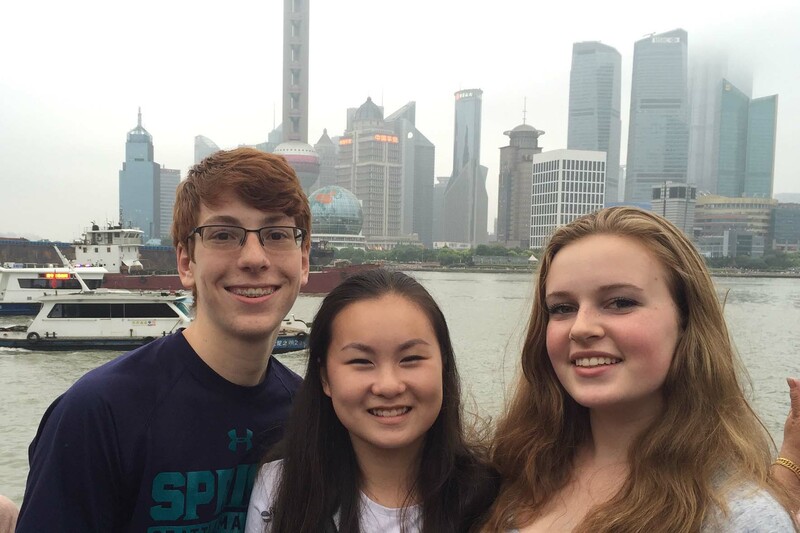 Every year, our students travel for one trimester on study abroad programs made possible through our network of partner schools: Centro Docente Maria in Seville, Spain, Lycée Emmanuel Mounier in Angers, France, The Affiliated High School of National ChengChi University in Taipei, Taiwan, and Dajing High School in Shanghai, China. Learn more about our partner schools here. Spain was a trip I will talk about for the rest of my life. The friends I made there are people I will never forget. I’m determined to go back. I loved it. 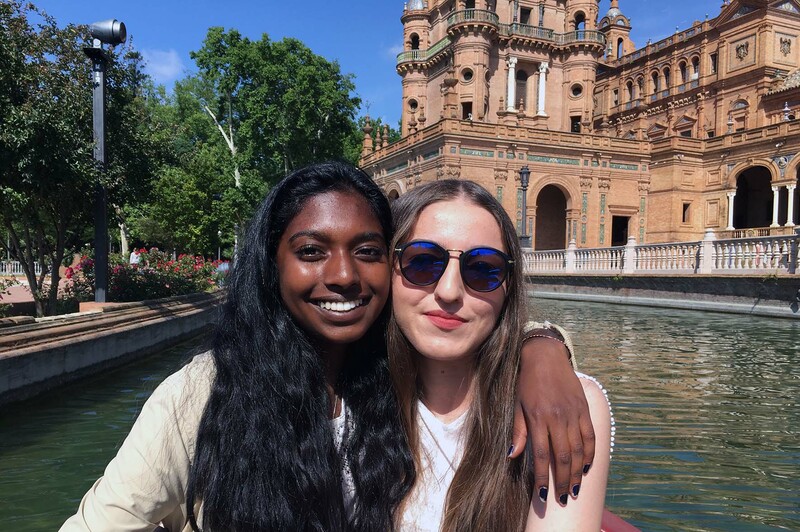 During the trimester students are studying abroad, they develop life long friends through their homestays, Seville, Spain. 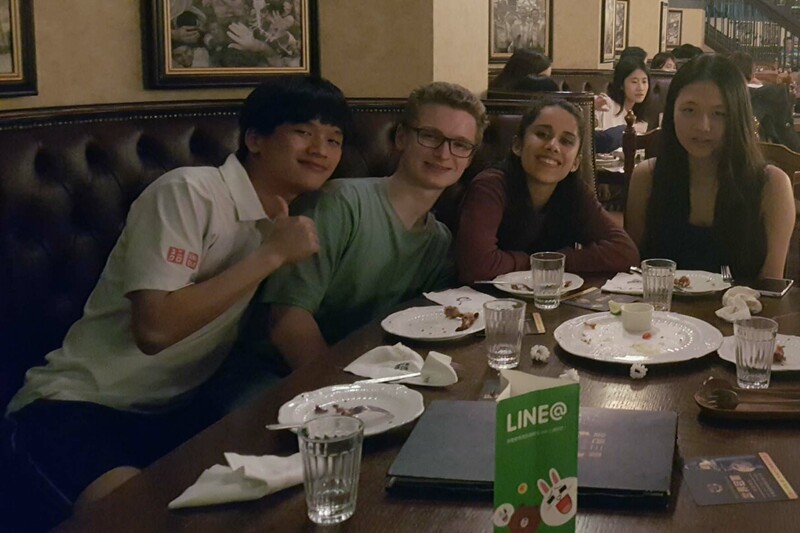 An important part of the exchange experience is sharing meals with host students and sampling the local cuisine, Taipei, Taiwan. 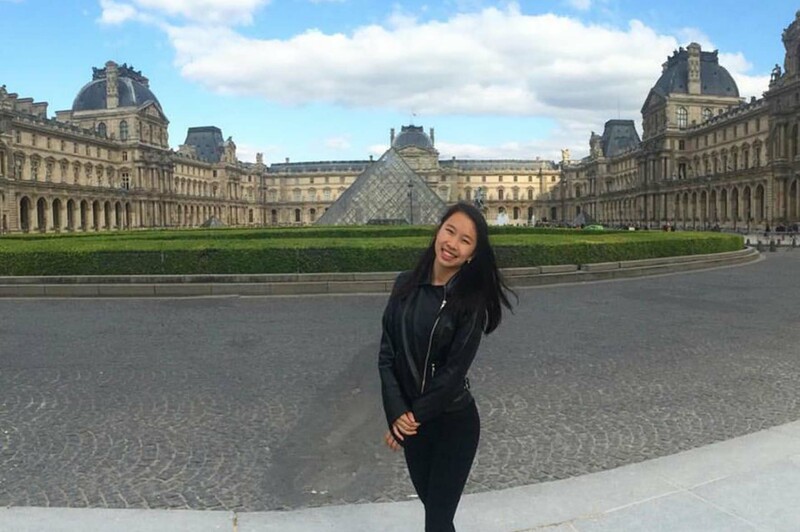 We offer four study abroad programs in Angers, France, Seville, Spain, Taipei, Taiwan, and Shanghai, China (pictured above). In addition to attending classes, students have the opportunity to visit cultural landmarks in cities such as Paris, France. Every aspect of this program has helped me evolve my way of thinking and has shown me what is really important in life. I have acquired confidence and a “why not?” attitude, which has pushed me to do a lot of different things, like playing soccer with the boys during break, taking biology exams in Spanish, and trying to answer questions during class. I hope that this bravery can stay with me for my whole life.